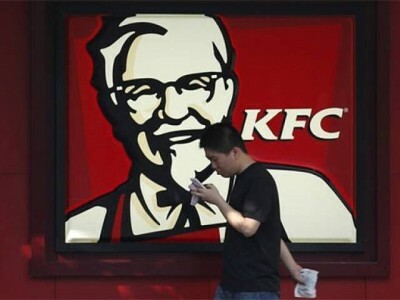 An American newspaper claimed that it unintentionally known the secret behind the procedure along with the herbs and spices used by KFC to prepare its famous fried chicken. According to the newspaper, white pepper is the most important ingredient which is different in color from normal pepper. The newspaper sent its reporter to write an article about the home town of KFC’s founder Harland Sanders and where the first KFC chicken was served 75 years ago. There he met Sander’s nephew Joe Ledington who found through an old family book that there are 11 such spices and herbs that are used in the original recipe. But it was later told by Joe on telephone that he is not sure about the authenticity of this finding. But the KFC company still says that its main secret hasn’t been revealed so far. They said in a statement that it was claimed by several people in the past but later they proved to be false. It is bluntly told by KFC that it fully secures all of its recipes and they are transported through an armored truck. But in many websites, people claim that they can make recipes similar in shape and taste of KFC. If the recent found is not accurate also, it will at least be very close to the secret. 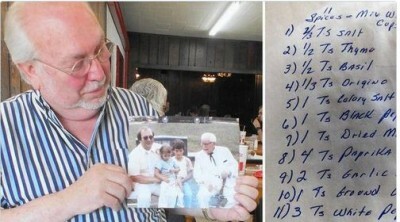 According to the newspaper, it prepared the recipe in its own kitchen and later found after comparing it to the original KFC recipe that both are identical and very similar in taste as it is presented at KFC. Many other newspapers also think that the newspaper has really found the original recipe of KFC but the newspaper located in the birthplace of KFC differs from them. According to this newspaper, there was lot of paprika in the new dish which shows that KFC is right to say that their original and secret recipe is safe. KFC is served in the restaurants of more than 18000 places in the whole world.